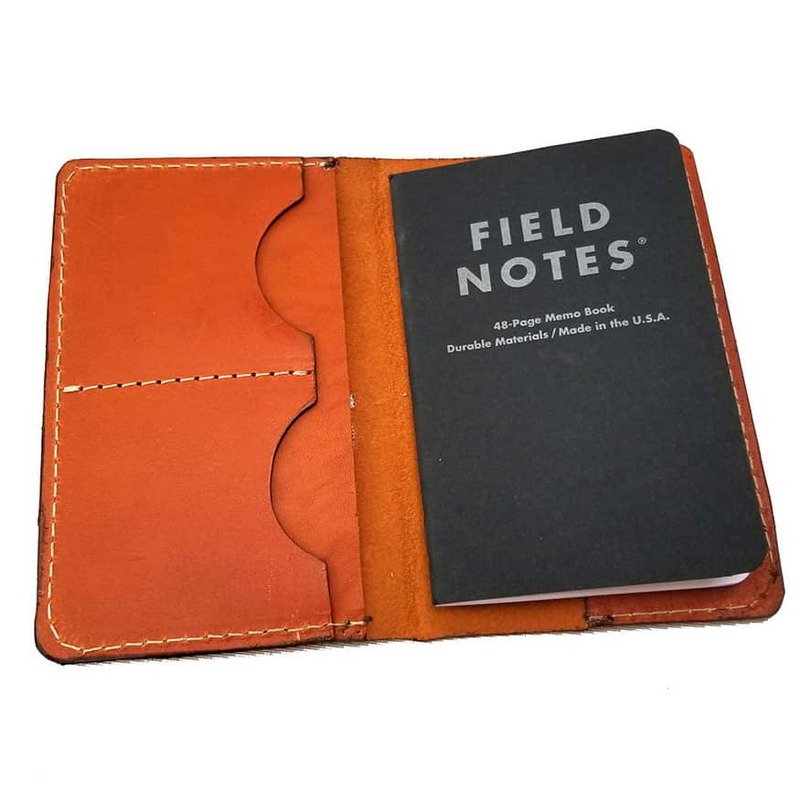 One of our favorite things is a small but sturdy notebook to jot down thoughts, notes, directions or to sketch. On a scooter, space is a premium so our classic Field Notes journal cover really is the perfect accessory for your adventures. 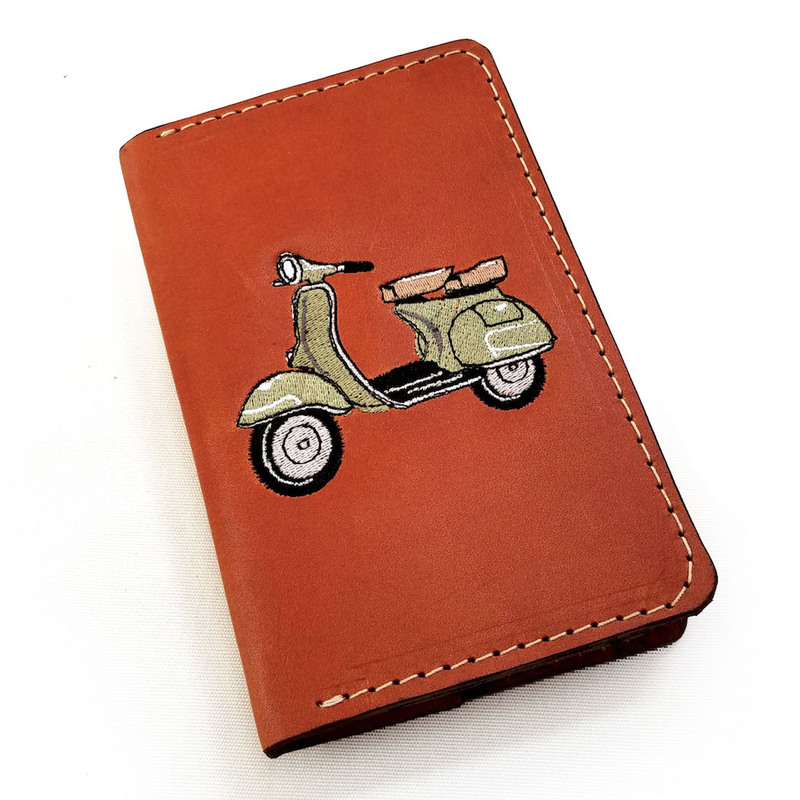 Crafted with our beautiful full grain, vegetable tanned leather, we embroidered a beautiful Vespa VBB on the cover. We also added a little more function with 2 card pockets and a larger pocket for cash and a passport. We source our leather from a 150 year old tannery in Pennsylvania, and hand sew our products to last a lifetime. This is one item that will improve with age, develop an even richer patina, and become a trusty companion on your scooter travels. 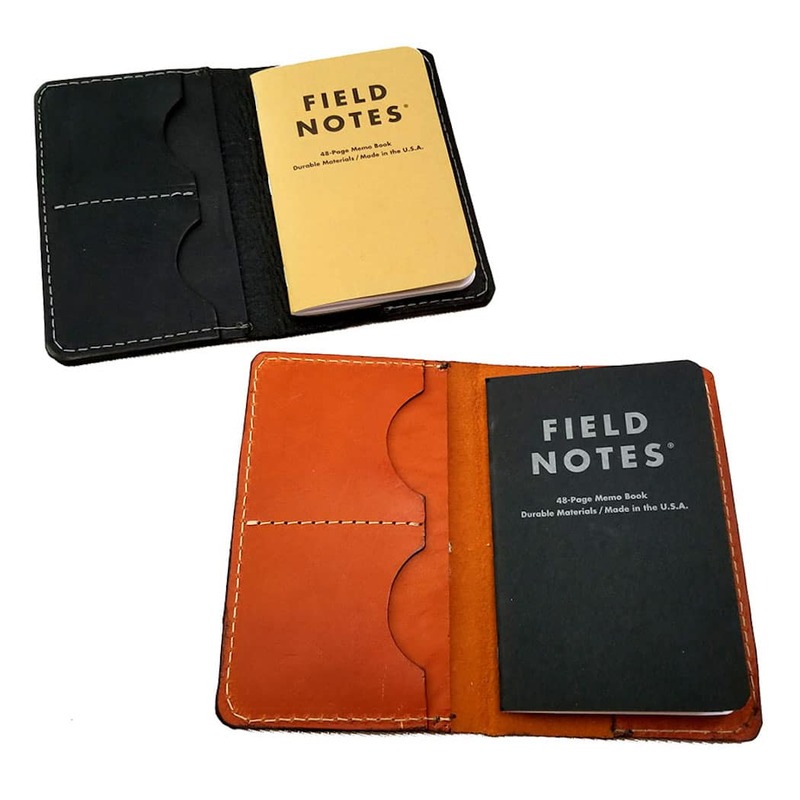 Includes 1 ONE Field Notes notebook in kraft or black, please specify during ordering.